Built in 1900 and formerly a grand railway hotel, the Quality Hotel remains iconic to this day and is one of the best places to stay in Stoke-on-Trent. Our uniqueness is being able to accommodate and deliver a personal touch to the expectations of all our guests. From local business guests, overseas visitors, long stay guests or families who just want a weekend break we aim to make your stay with us an experience you won’t forget. The Quality Hotel Stoke Leisure Club features an indoor swimming pool, sauna, steam room and gym. Guests can also enjoy a sports massage by appointment. The elegant Restaurant 66 serves a varied international menu and wine list. Our Bennett’s Bar Serves a selection of bar snacks and features a pool table. Room service is also available. The Hotel also boasts a unique glass room for Private dining. 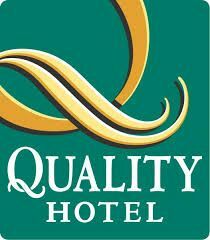 All of the 135 cosy bedrooms at The Quality Hotel Stoke on Trent each have a private bathroom, tea / coffee making facilities and a television. We are only an 18 mile drive from Alton Towers. Parking is charged at £5.00 per vehicle for 24 hours.